Payments by check for event tickets should be sent to the above address. For any other questions or comments about the reunion, be sure to check the Reunion News page on the website, visit the AHS Class of 1972 Facebook Page, or just shoot an email to info@classof72reunion.com! 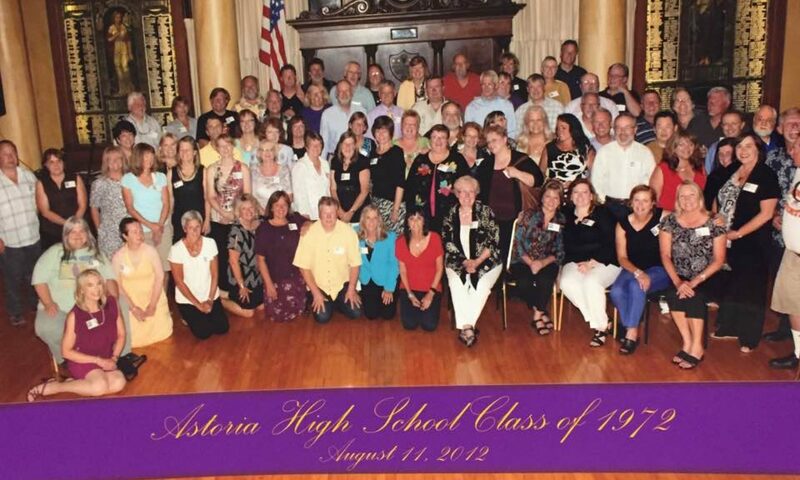 This is the official site for the Astoria High School Class of 1972 Reunion! We're getting ready for the 45th reunion August 11-13, 2017, but we will plan other reunion events and share them here. Keep checking back for more reunion news!